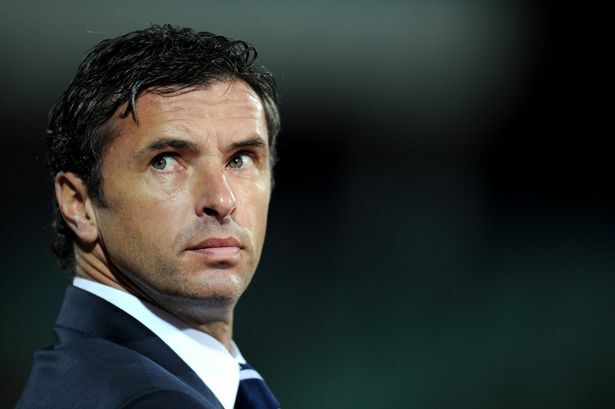 Ashley Williams - "he is always in the back of our minds"
The Wales' foundations laid by former manager Gary Speed, who died in tragic circumstances in November 2011.The Wales' foundations laid by former manager Gary Speed, who died in tragic circumstances in November 2011. WALES skipper Ashley Williams delivered an emotional tribute to former Everton skipper and Wales boss Gary Speed on the eve of their country’s biggest ever international match. The Dragons face Cristiano Ronaldo’s Portugal in Lyon tonight in the European Championship semi-final. It is the latest step in a journey set in motion by Speed, who raised Wales from 117th to 45th in the FIFA rankings, earning the award of ‘Best Movers’ of the year having gained more ranking points than any other nation in 2011. Speed died tragically in November that year, and skipper Williams said: “I have been thinking about Gary on the plane coming over. “I was reading about his time in a book and it brought it all back. “My thought as we got here was I hope he’d be proud of us with what we’ve achieved. Speed’s name has been sung by supporters at every game in France, while his dad Roger has been mobbed in bars. 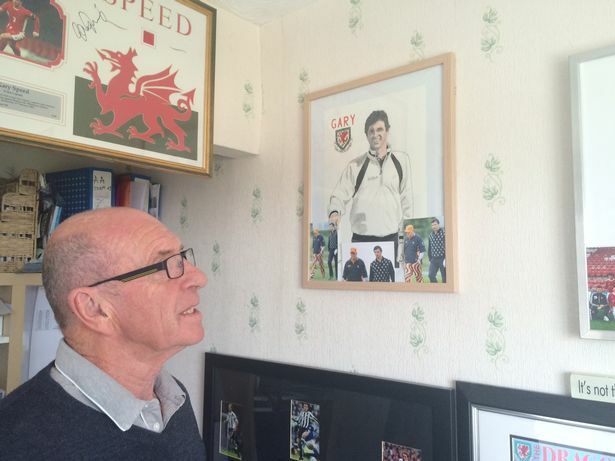 Roger Speed, father of late Wales legend Gary Speed.Roger Speed, father of late Wales legend Gary Speed. 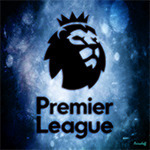 Manager Chris Coleman – a long-time friend of Speed – added: “Speedo’s legacy is 85 caps for Wales, and maybe over 50 as a captain, plus his 10 games as a manager in which he won five and showed great promise as a young manager. “He’s not just a Welsh icon but a sporting icon and that’s why we remember him. “But I don’t need a game of football for me to remember Speeds. I think about him every day, not just because I’m at a tournament. I don’t need Wales football to remind me of my friend. Wales will hope to continue to do the former captain and midfielder proud by repeating the level of performances shown throughout the tournament against Portugal tonight. Gary Speed's dad, Roger, has been receiving the same kind of reception in France which used to be reserved for his son. Father of the former Everton skipper, Roger, has been in France with Gary's sons Ed and Tom. And ahead of tonight's landmark Wales match against Portugal in Lyon, in the semi-final of the European Championship, the Welsh fans have paid a poignant tribute to Roger. 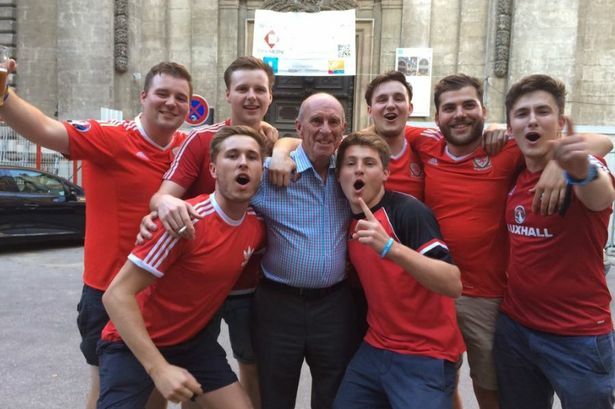 Nearly five years after the death of Gary in November, 2011, there were tears and emotion as Mr Speed and a group of Wales fans embraced after supporters spontaneously chanted the name of the former Wales boss after spotting Roger. Roger has been overwhelmed by the reception they have received from Wales supporters in France, saying: "What a reception. He'd have been proud. "We were in the restaurant and I went to the window and all the Welsh fans were singing, they were chanting my name and I was in tears. "They really are fantastic supporters, the best in the world." BBC broadcaster Caroline Barker, who filmed the footage, tweeted: "Roger Speed being mobbed by fans in Lyon. Hugs, tears, brilliant."